Air ducts are an essential yet unseen part of your home and when you get your air ducts cleaned it can make a difference in yours and your family’s health. A home’s Indoor Air Quality (IAQ) is largely determined by the quality of your home’s HVAC system, which includes the air ducts, filters, grills, and coils. 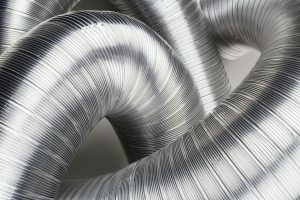 In order to keep your home’s ventilation system in its best shape, learn what you should and should not do in regard to your home’s air ducts. Do Know the Signs. The state of your air ducts primarily impacts your health and your home’s cleanliness. If you are suffering from a runny nose, sinus infections, a burning sensation in your eyes, or repeated headaches, it may be because of poor IAQ. These symptoms also sound like what happens when you catch a common cold, but you will be able to tell that they are related to IAQ if the symptoms disappear when you leave the indoor area. When your ducts have issues, you may be seeing more dust on furniture and other surfaces. If you just did a deep cleaning and see dust again the next day, you may need to get your air ducts clean. Do Test for Mold. Mold is usually easily identified by its dark spots on surfaces like walls and grout, and when you feel the symptoms of mold exposure you can target where it needs to be eradicated. However, if you are feeling the allergic symptoms commonly caused by mold and you don’t see its tell-tale spots, it may be in your air ducts. To be sure, call an experienced mold inspector to identify any mold-infected areas. Do Prevent Before You Clean. There are possible sources of air pollution that you can impact because they affect your air ducts. Pollutants like stoves, fireplaces, and burning furnaces all contribute to what travels through your ducts, so be aware of how often you use these items and what they are putting into the air. By simply cleaning your home regularly and changing the filters in your HVAC system you can also help keep dirt and water out of your air ducts. Don’t Be an Overzealous Cleaner. After all of these warnings, you may now be thinking that you need to start your mission to get your air ducts clean right away. Keep in mind, however, that air ducts should only be cleaned every three to five years for maximum heating and cooling efficiency. The EPA even recommends that you only have them cleaned when strictly necessary, and that routine cleaning can do more to harm than help. Don’t Use a Spray. Spraying may seem like a quick solution to dirty air ducts, but that is a route the EPA strongly recommends against. Any spray you might use includes chemicals that are harmful to your health, especially when put into a home’s ventilation system. This would just be introducing another pollutant into your home that worsens your air ducts. Don’t Wait. In your day-to-day life, air duct cleanliness may not seem like an important detail, but long-term exposure to harmful pollutants or mold can lead to serious health risks. According to the EPA, poor IAQ is among the biggest threats to our health that are environmentally related. You know when something feels wrong in your home, but while regular maintenance is easily scheduled into your calendar, air duct cleaning can feel like an anomaly. Stay on top of your clean ducts and you will see the benefits reflected in your health and functionality of your entire home.